How, in less than one generation, the small agricultural community of Basket Range went from being a town people moved away from to being a place where everyone wants to live. Sophie Button was ten years old when her parents and two other families bought a 64-acre block of land in Basket Range. She and her two brothers were shifted onto the property from their previous home in Ashton. 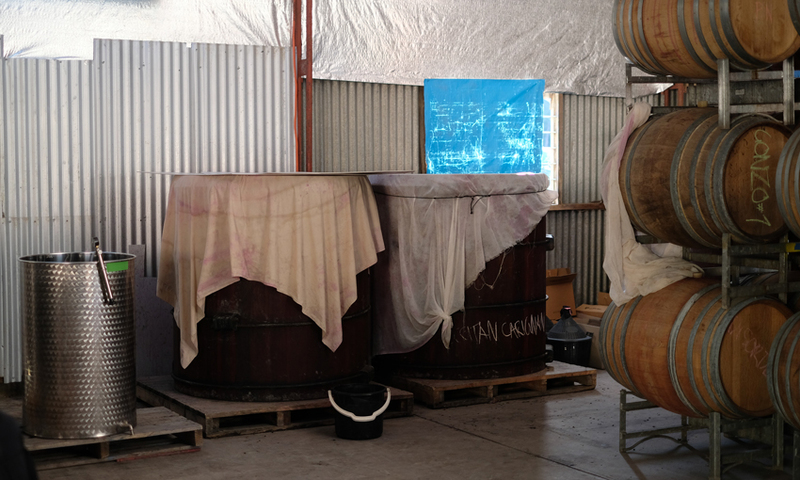 While their Dad continued his work as an art dealer and conservator, their Mum – Kaye Jenkinson – began the slog of turning the former cabbage farm into a successful vineyard. 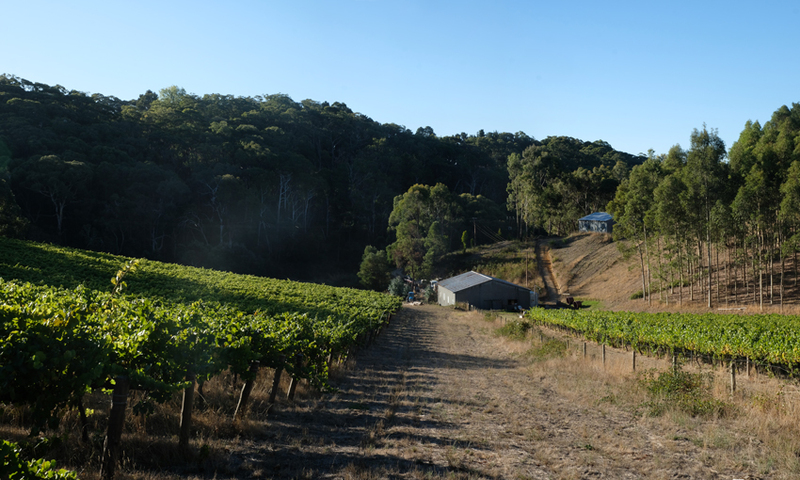 This is the second of a three part series on Basket Range – a wine region in the Adelaide Hills. Read the first instalment here. Join us at the conclusion of the vintage season for The Festival at Basket Range (basically a party with the whole community). April 7 from 12pm-8pm. More information and tickets are available at the website. For Sophie, growing up on the block was delightful – she galloped horses up hills, drove tractors, got lost exploring. But the life of growing and selling grapes didn’t seem like it was necessarily worth sticking around for. “I left to do my own thing, production stuff on arts festivals and the like, for about eight or nine years,” says Sophie. 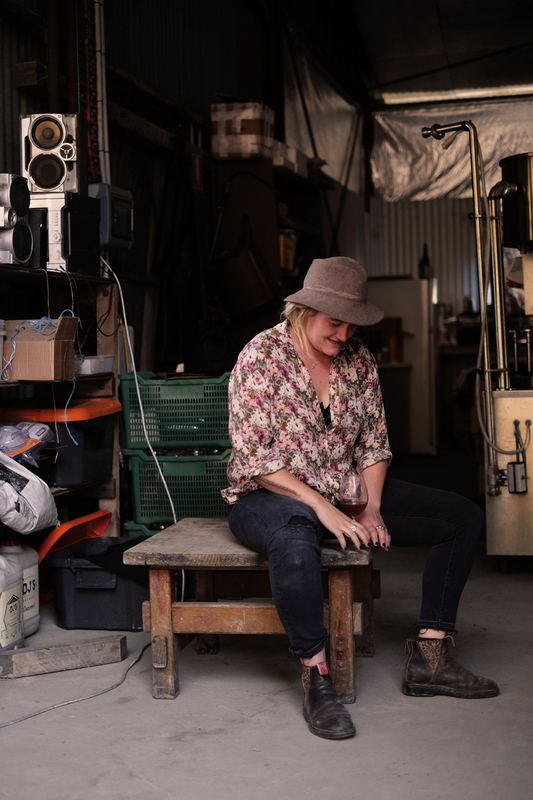 Sophie’s description is a narration of the classic Australian agricultural dilemma, in which new generations are increasingly moving away from the land their families farm – either drawn away by other opportunity, or pushed away by small towns that already seem to be dying. But, Basket Range (which does have the unique advantage of being agricultural, yet only 20 minutes from a capital city) has now become an entirely different proposition. These days, the small region is magnetic and is populated by a group of close-knit winemakers and grape growers who often seem to be an unstoppable and united force. That transformation is something Sophie and her brother Jasper Button have both propelled and been propelled by since they took the fateful decision to return home and work the family property. “I didn’t really think I was coming back,” says Sophie. “I had just been in Scotland, and Jasper was doing his film thing and we met up in Amsterdam. The calls were getting a little more desperate, with Mum saying, ‘I think I might sell, I don’t want to do this anymore’. “What she’d been dealing with was just enormous – we planted chardonnay, and in the ’90s there was this huge anti-chardonnay thing that happened and that meant fruit was really hard to sell. It was pretty high level stress. And she ran it for at least 15 years by herself. That agreement has turned into Sophie and Jasper pouring their full energy into the vineyard and into the wine they began to make under the Commune of Buttons label. Early on, they made contact with Basket Range legend and neighbour, Anton van Klopper of Lucy Margaux Wines, who not only bought a lot of their grapes, but also taught them about natural winemaking and organic, biodynamic grape growing. 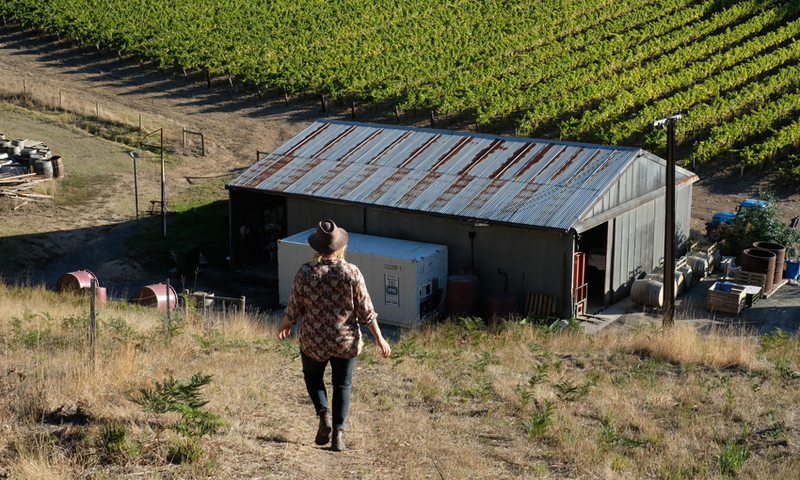 As the pair began the work of embracing these principles in the vineyard and building their wine label, Jasper and Sophie were increasingly drawn into Basket Range’s burgeoning community. “If it wasn’t for the Brodericks and the Ochotas and Tim and Mon and Gareth and Rainbow – this community that is becoming quite strong, then I wouldn’t do it. You have to do it together,” says Sophie. In celebration and support of that community, Sophie has become one of the key driving forces behind the Festival at Basket Range. Along with Alex Harris and Sarah Carlson, she started the event last year to give the locals of Basket Range a chance to take stock of what they’ve built together. 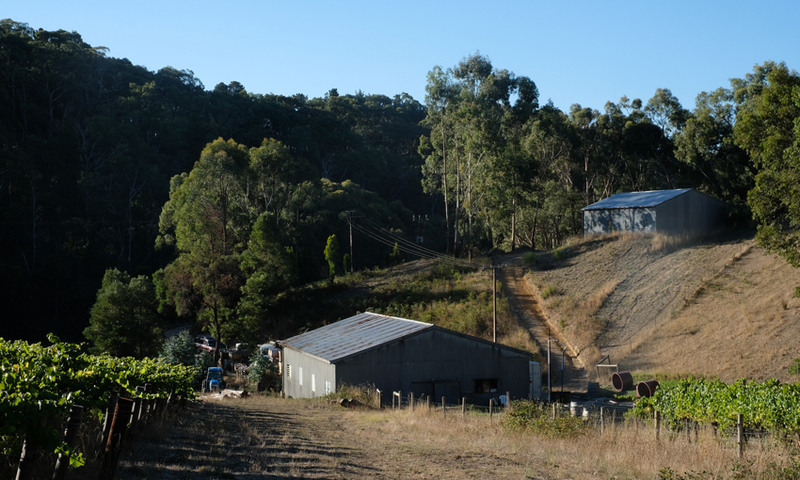 The Festival brings in everyone from local primary school kids to Neil, who runs the Basket Range quarry – and Sophie says that this broader inclusion is the whole point. “There is a metaphor that people say about planting a seed, and the Festival is sort of the correlation of the physical and metaphorical,” says Sophie. “It’s celebrating what it is to think of something and take it and care for it and look after it until it’s at its fruition. You can do it in a farming sense, which we all do of course, but there’s a lot more weight in seeing that musicians are producers too, and that so are chefs, and so many other people.